OontzKids is seriously the coolest summer camp I’ve ever been to! 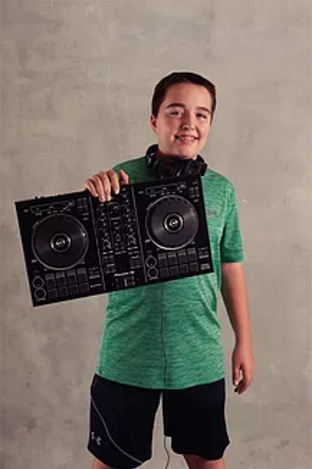 I had so much fun, learned about all different kinds of music, and now I’m even getting asked to DJ at parties around town! I’ve played at a tailgate party, a few birthday parties, and have a regular gig at a store in town. I’m really excited to learn everything in Level 2 and get even better.